After over a decade, Real Housewife of Atlanta (RHOA) cast member and R&B musical genius, Kandi Burress, is a mother again and has recently began opening up about the latest bundle of joy to enter her life and the adjustments that have come with it. Born on January 6, Ace Wells Tucker is the first baby for Kandi and her husband, Todd Tucker, although they each have one teenage daughter from previous relationships. 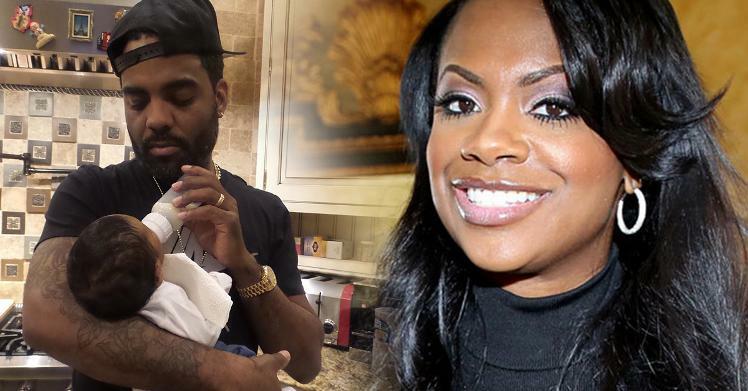 Kandi admits that she wanted to give her son a name that was unique – and one that speaks to being top of the line – so she and Todd decided to go with Ace. The newborn’s middle name, Wells, is Todd’s mother’s maiden name, who recently had passed. By giving Ace her name, the couple is able to honor the paternal grandmother.